← Thanks to all! 72 Participants in my dissertation on learning games. I have uploaded my first video to YouTube (please be kind interwebs). I Identified all three Higher Order Thinking Skills in Bloom’s Revised Taxonomy – analyzing, evaluating, and creating. In the future, I plan to upload a walk-through of Bad Piggies and Dragon Box. These were the games I asked my participants to play for my dissertation on Higher Order Thinking Skills in iPad Games. 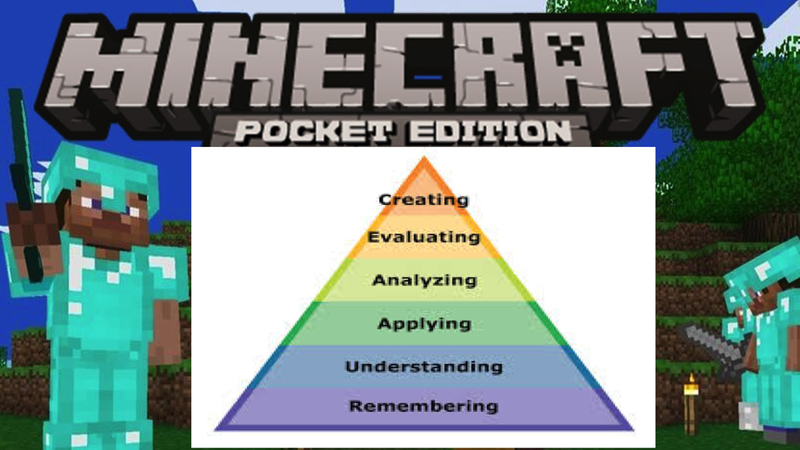 Posted on August 25, 2015, in game review, higher order thinking skills, Research on Games and tagged 21st century skills, analyzing, bloom's revised taxonomy, Bloom's taxonomy, creating, dissertation, evaluating, Higher order thinking skills, Minecraft, YouTube. Bookmark the permalink. Leave a comment.